All of her past achievements are nothing compared with the task now facing her. 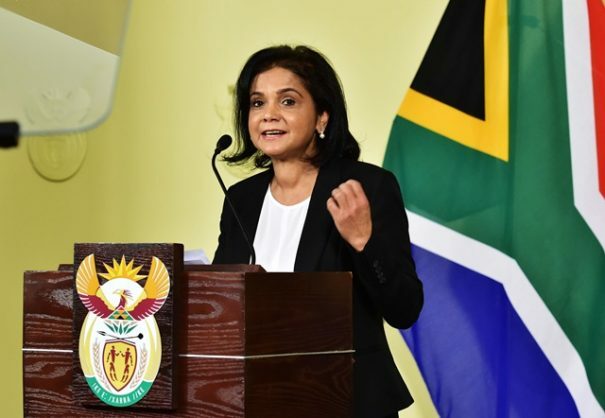 Shamila Batohi is no stranger to the spotlight – and has proven herself capable of handling the pressure of the public and the media in a high profile position before. Even so, she faces the biggest challenge of her professional life today when she takes over as the new head of the National Prosecuting Authority (NPA). In the past, she was part of an investigative team appointed by Nelson Mandela to probe security force hit squads during the apartheid era; then was the person who successfully led the prosecution against former Proteas captain Hansie Cronje, for cricket match fixing. She knows the NPA from the inside, too, having been the provincial director of public prosecutions in KwaZulu-Natal for seven years. All of those past achievements are nothing compared with the task now facing her, which is nothing less than resurrecting the NPA, not only as far as its image goes, but also operationally, to ensure that its staff do their jobs without fear or favour. The NPA, it is slowly emerging, was one of the key components in the complex and deep state capture network. For many years, under the presidency of Jacob Zuma, it was staffed by his lackeys and its main task appeared to be delaying or derailing any efforts to prosecute him for his various alleged wrongdoings. Not only did the captured NPA badly damage the criminal justice system, but its almost total lack of success in prosecuting serious offenders when it came to corruption, has left a troubling legacy among ordinary South Africans. They see that criminality, of all shades, by and large goes unpunished and that high-level theft is a way of life. So, this country’s people have become less law-abiding, less ethical and less moral. Batohi has a huge responsibility in rebuilding this vital component of our criminal justice system.